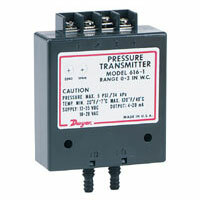 The Series 605 Magnehelic® Indicating Transmitter provides for both visual monitoring and electronic control of very low differential pressure. 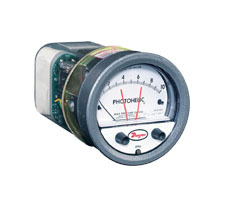 The Series 605 is ideal for control applications in building HVAC systems where local indication is desired during routine maintenance checks or necessary when trouble shooting the system. 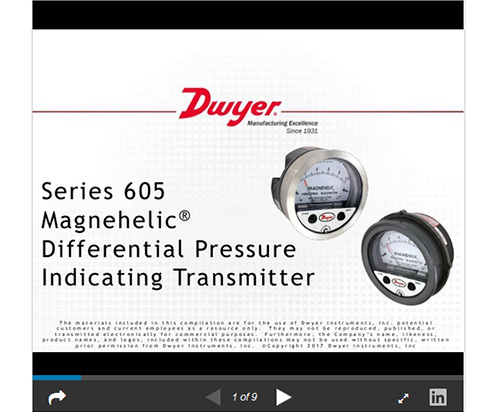 The easily read dial gage is complimented by the two-wire, 4 to 20 mA control signal utilizing the time-proven Dwyer® Magnehelic® gage mechanical design and Series 600 transmitter technology. 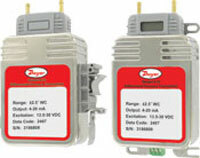 The two-wire design with terminal strip on the rear simplifies connection in any 4 to 20 mA control loop powered by a 10 to 35 VDC supply. 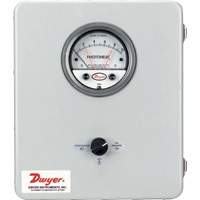 4" (101.6 mm) dial face, 5" (127 mm) OD x 2-11/16" (68.3 mm). 1 lb, 12.6 oz (811 g). See Ordering page (includes linearity, hysteresis, and repeatability). 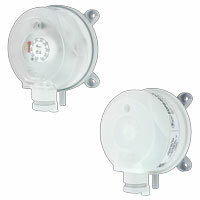 32 to 120°F (0 to 48.9°C). 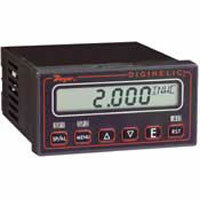 10 to 35 VDC (2-wire). 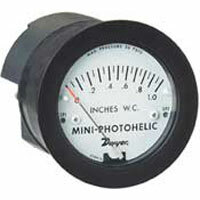 DC: 0 to 1250 Ω maximum. 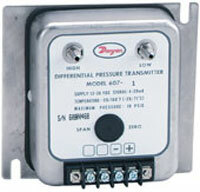 EXAMPLE 605 00N AT Series 605-00N-AT Magnehelic® Differential Pressure Indicating Transmitter, range 0.05-0-0.20" w.c., with aluminum tag. 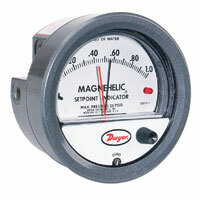 Is National Institute of Standards and Technology traceability available for the Magnehelic® Gage? No. 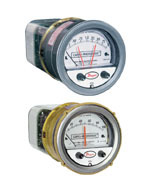 But Magnehelic® gages can be given a special 6 point calibration check with an NIST traceable master gage and a certificate can be supplied. 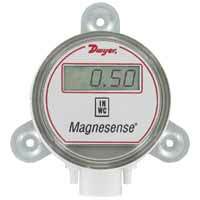 How do I hook up my Magnehelic® Gage? 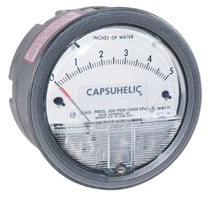 In Bulletin A-27 under operation, it explains how to connect the Magnehelic to the following applications: positive pressure, negative pressure, and differential pressure.